The animal lay at the scene of the accident that killed his owner Kelly Black until her family came to collect him.. The loyal dog of a woman killed by a hit and run driver was found lying at the scene of the accident. In heartbreaking images, canine Paco can be seen lying forlorn and motionless at the spot where owner Kelly Black died. Police in Jacksonville responded to a call on Friday from someone who found the 42-year-old woman dead in the road. Police say a semi-truck struck the woman in a nearby convenience store parking lot before dragging her into the street. They also said that the driver may not be aware that they struck the woman, reports Action News Jax. 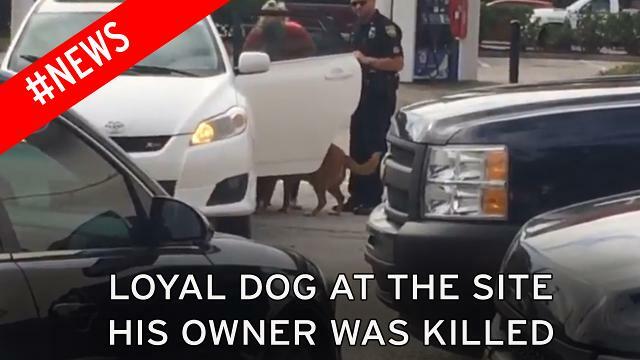 According to neighbors, the woman was believed to be walking Paco when the incident occurred. 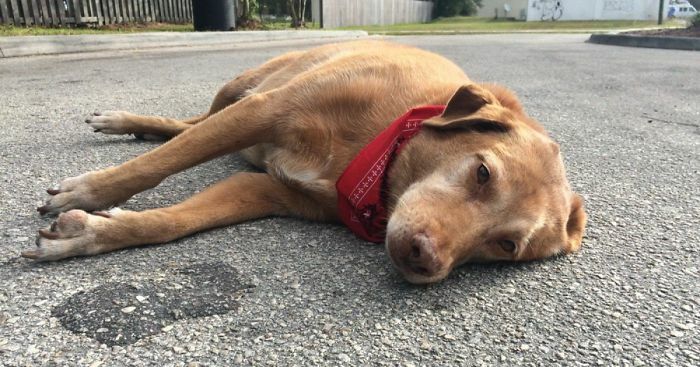 Residents noticed the dog in the street and local journalist Russell Colborn posted pictures to Twitter of the grieving animal. Police contacted the woman's family who came to collect Paco. Family members told residents who had been looking after him that Paco was a rescue dog from the aftermath of hurricane Katrina. They told local news that the pair were inseparable. Thankfully, the dog seemed to perk up when reunited with family and could be seen wagging his tail in a video taken by Colborn.